Use of social media and social networks is at peak, there are numbers of platforms available which we can use. WhatsApp is one of them and is being widely used on smartphones. There are number of reasons to use WhatsApp and many people must have it on their phones, WhatsApp allows you to make calls, text, send pictures, videos, files, share stories in a convenient way. You can also make groups and stay connected with your friends and family. It also features end to end encryption for security and relatively lower data consumption for communications and much more. Some people are having trouble using it on Android devices, crash issues, unable to download and not responding errors are nothing new. Fortunately these problems can be fixed. Follow this brief guide if your looking for a way to fix WhatsApp not working on Android problem. 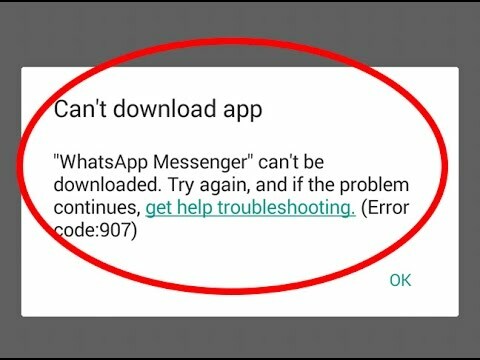 This is one of the most common problem, many smartphones have WhatsApp pre-installed and some of them requires manual download from Playstore. It is not something difficult to do unless you are facing error or downloading stuck problem. Downloading problem is very frustrating, it can be caused due to number of reasons and it gets hard to troubleshoot it. If Playstore downloading isn't working there is always a way to manually download APK file from third party website but anything outside from Playstore is not safe at all and can harm your device and even steal your data. We have gathered some of the best working fixes for downloading problem. 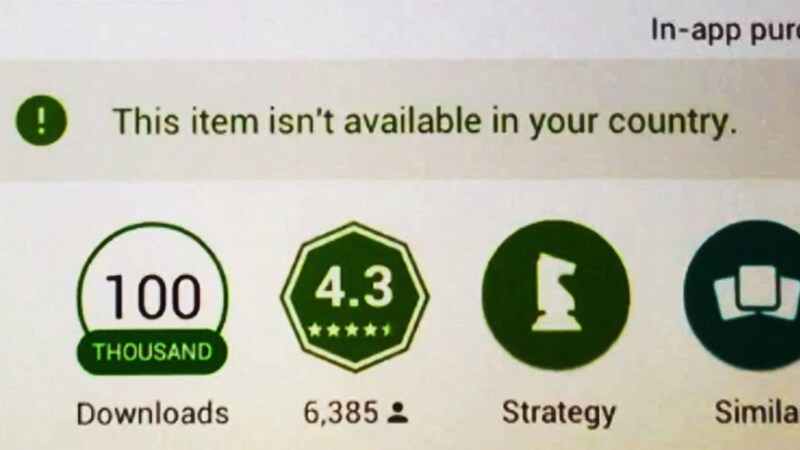 The first thing you always need to check is Internet connectivity while downloading apps. Make sure you have a reliable internet connection and it is not limited or slow. Many people having WhatsApp not working on Wi-Fi android fixed it by simply restarting their modems and you can try that too. Another reason is incorrect date and time on your phone. WhatsApp is one of those applications which uses your local date and time therefore you must check if Date and Time are set correctly on your Android Phone of you are having trouble downloading the app. If you are using SD card in your Android Phone then make sure it is inserted and formatted correctly and also make sure it has enough space because Playstore may download files on SD card if it is set as default storage. Not responding issue sometime can be simply fixed by closing WhatsApp and then start again. You can also try Force closing the app from "Settings>Application>WhatsApp" and then tapping force close button. Once you do that, launch WhatsApp again. Many issues on Android can be simply fixed if you restart your Android Phone, same goes with WhatsApp problem. Press and hold "Power" button for few seconds and select "Restart" from the menu. Once your phone smarrtphone boots up launch WhatsApp again, it will fix not responding problem. If above two solutions doesn't work for you, then you should probably delete the installed WhatsApp app and install it back again from Playstore. ReInstalling the app can also fix app crash and not responding problems. There are also times, when WhatsApp will simply crash on startup or may crash after some usage however crash problems are not acceptable at all and ruins user experience. App crash is nothing new on Android and it is caused due to many reasons. WhatsApp can have this issue too, fortunately it is fixable and can be completely eliminated by going through solutions that are given below. We also advise you to use solutions given above because they can also sometime fix crashing problems. Another common fix is reinstalling the app again from Playstore, uninstall the currently installed app and download it again. It will automatically download the latest version of the app and will fix your app crash problem. If you are running out of storage then it can cause app crash problem too, make sure you have sufficient space on your phone. Delete any unwanted or unused applications to free up some storage and fix the issue. Whenever someone says, "My WhatsApp is not working on Android" the very first thing I say is try restarting your phone. It is most simple way to tackle many app crash and freeze problems. Simply restart your android phone and try running the application again. The very first thing you can try is turning off your Wi-Fi connection and turning it on back again. It can fix limited or other network related problems sometime. As simple it sounds, just enable your Airplane for few seconds and turn it off again. When Airplane mode is on, your connectivity hardware will be turned off. If Wi-Fi isn't working because its limited or slow then you can simply turn it off and try using your cellular data. Make sure you have good data coverage. You can also try using some other Wi-Fi connection and see if the problem resists. If problem is fixed by changing Wi-Fi then there is probably something wrong with your internet connection at home. Limited connectivity, frequent disconnection and slow internet issues can be solved if you restart your Wi-Fi device. The fundamental requirement for displaying a contact in WhatsApp is that he must have an account. So make sure, the person you are trying to find have an WhatsApp account. People without account won't show up in WhatsApp. Phone Numbers are Saved: The next thing is to look whether contacts are saved properly on your Android phone, make sure contacts are showing in your Address book at first place. Many people have reported that they are having trouble using WhatsApp if Facebook app is installed on their Android Phone. Deleting Facebook app solves problem, and sometimes logging out of Facebook account also works. You can try Deleting Facebook and then launch WhatsApp, if ot works then you can re-install Facebook. You can also try ReInstalling both apps, Updating to latest may also fix this problem. If its still not working then try restarting your Android Phone, Clear Cache. If Everything fails then backup your device and Factory Reset your Android Phone. Step 2: Tap three lines icon and then tap "My apps and games"
Tenorshare Android Data Recovery can restore all sorts of data after factory reset, format and rooting your android device. It can also help recover your lost SMS, contacts, photos and documents etc from Android devices. Most excitingly this tool can also allows you to retrieve data from broken and damaged Android phones. It works for both External storage and Internal storage, if you are looking for a way to recover any kind of data then use this tool.